After a tip off to the Mississippi Bureau of Narcotics, a police helicopter flew out to the area and discovered an incredible field of green. 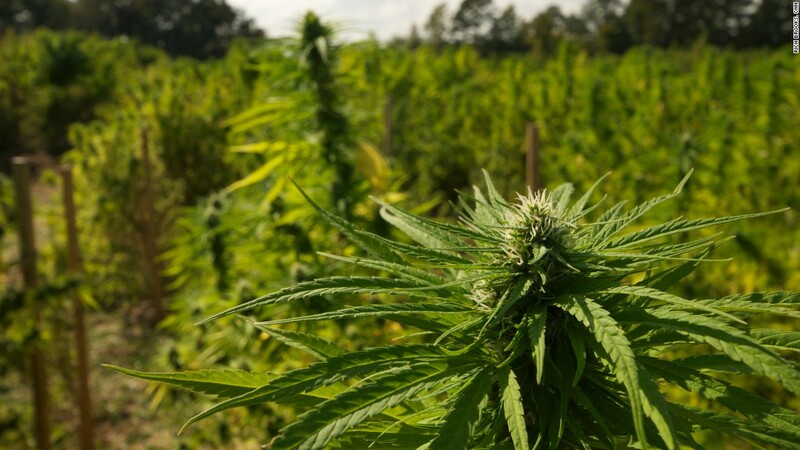 Turns out, the state of Mississippi knows how to grow some decent weed after all. However, it isn’t the University doing it this time. Authorities say they’ve discovered the largest illegal grow in the state since the 1980’s, with an estimated value of $20 million dollars. Jefferson Davis County in Mississippi lies in the southern end of the state, and is mostly rural. With an average of only 25-50 people per square mile according to the 2000 US Census Bureau, it makes for an ideal area to disappear into the woods. Some enterprising gentlemen decided to take advantage of that secluded space, apparently. After a tip off to the Mississippi Bureau of Narcotics, a police helicopter flew out to the area and discovered an incredible field of green. Carved out from the dense trees, 5 fields spread across 4 acres sat just a few hundred yards off of Otis Polk Road, near Highway 13. Police had to bulldoze a road into the area for access. The sophisticated site included multiple generators and even a dugout underground bunker. A system of hoses and pumps brought water to the site from a natural nearby source. Extensive drying racks dotted the area for harvesting, which was already underway. Multiple campsites sat at the edges of the fields. Police also recovered several burner phones along with a hunting rifle, arguably for fending off wildlife or capturing food. Initially, police estimated the crops to be worth $10 million, but as the search of the area widened, other crop sections have also been found. With plants nearing seven feet tall, and estimating around 1 pound per plant, the 15,000+ plants would be worth $22.5 million. This is very similar to the cartel grows we see out west. They had irrigation systems built up in here, there’s actually a camp where individuals have been living back on the back side of the grow operation. It’s probably the most significant and sophisticated grow that we have seen in the state of Mississippi, ever. While some countries are actually importing cannabis from places like Canada to meet the demands of their medical patients and consumers, police in Mississippi don’t seem intent on making use of the illicit gold mine. After digging up the fields, police began burning plants on the scene, but then transitioned to hauling it away. From the sheer size of the crop, and density of surrounding forest, the on-site task presented not only a forest fire hazard, but a tedious one. Some of the confiscated cannabis will go to labs for testing. Jeff Davis County has been a problem for narcotics for quite some time. It’s no fault on the sheriff’s office, it’s a rural county so people can kind of fly under the radar often times, there was no way anyone could ever find this. Whoever had this operation going will be out of business for a while. Police haven’t made any arrests in connection with the operation yet. However, a BOLO for 2 Hispanic men has been issued, presumably fleeing the scene.